Just 7 miles south of the stunning Peak District and a 5-minute drive from Alton Towers Theme Park, the family-run Heywood Hall offers free Wi-Fi and free parking on site. It features a hot tub and sauna, and a pretty garden to relax in. 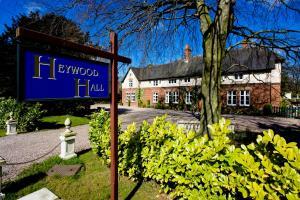 See all Heywood Hall reviews..